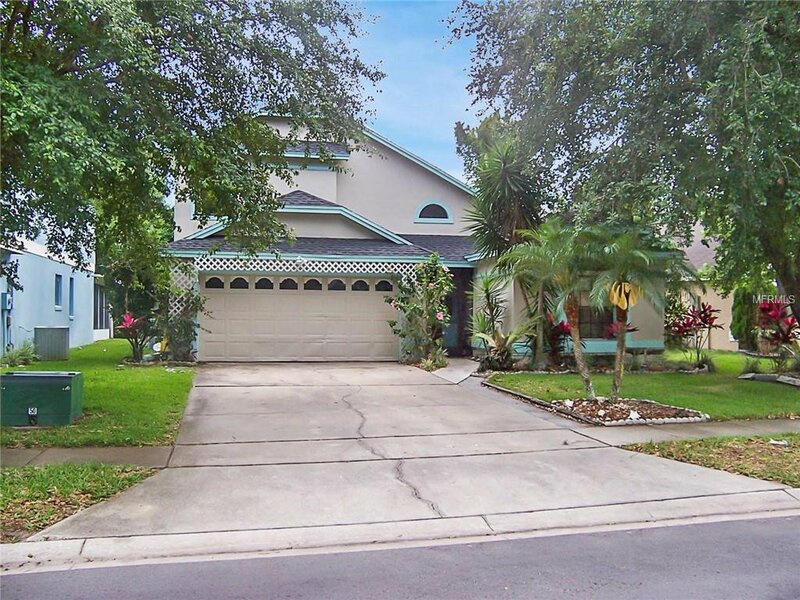 Purchase your lovely 4 bedroom 3 bath two story home in Lake Mary with master bedroom and one other bedroom downstairs and two bedrooms upstairs. Master suite is spacious and offers a large walk-in closet. Stained baseboards/doors. Eat in kitchen with pass through to dining room. Vaulted ceilings. Skylights. Wood burning fireplace in living room. Pool planned bath. Sparkling and refreshing pool with pool encloser. Lot backs up to greenbelt area. Convenient to shopping, restaurants, post office, mall and I-4 for easy commute. Washer and dryer hookup in garage. Garage has a wall unit for comfortable working space if desired. Middle school and high school within a short distance as is the library and the YMCA and parks. The Crossings has a 5 mile metered sidewalk for the exercise conscious. Transferable home warranty available. Tenant occupied until 3/31/2019. Listing courtesy of LEGENDS REALTY. Selling Office: K CO.